It’s very hard to be deployed. Believe me, I know. It’s especially hard to be deployed during holidays. You always think of holidays past and feel as if you’re missing out on memories and milestones. The bases do a great job of keeping our spirits up, but all you really want to do is be with family. I was so excited when I was contacted about this cool contest YesVideo is holding for families of deployed servicemen. In January, YesVideo, the global leader in video and photo digitalization, announced their Holiday Gifting Program for U.S. Military Families. They’re giving away five $300 gift certificates to military families, which they can use to transfer old videos to DVD, as well as online. How cute would it be to send an old video of your kids as babies, or even a fun video that you and your loved one filmed when you both were young. A military mom may have a VHS video of her marine son at his first baseball game, or a military spouse may have an old 8mm video of them and their spouse out during date night. 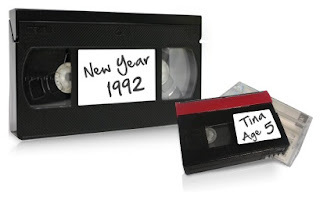 Transfer those memories to DVD and online and have them forever. If you are a military family and your service member is currently deployed, you can enter to win on YesVideo’s Facebook Page. But hurry; the last day to enter is Thursday, January 10th by midnight PST. So, go enter, tell your friends and win a great Valentine’s Day gift for your sweetheart serving abroad. Good Luck! Disclosure: This is a sponsored post on behalf of YesVideo, but all ideas and opinions are my own.